Wow, it's that time of year again. The time to honor Mom's of all ages and kinds. 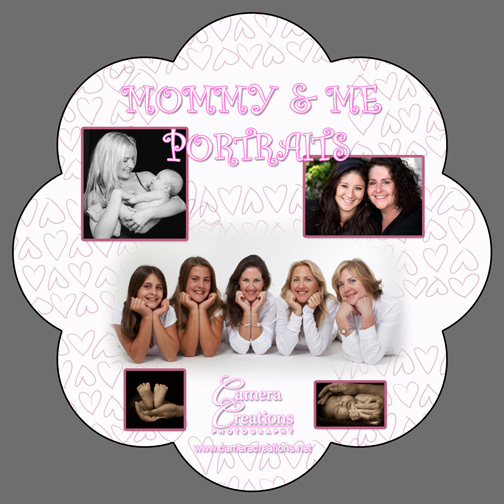 What better way to do this than creating a lasting memory with a "Mommy and Me" session at Camera Creations. We are offering sessions for the entire month of May. 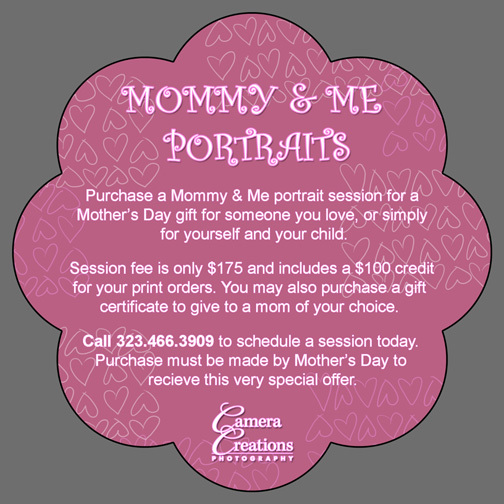 Session fee is only $175 and includes a $100 credit for your print orders. You may also purchase a gift certificate to give to a mom of your choice. Purchase must be made before Mother's Day. 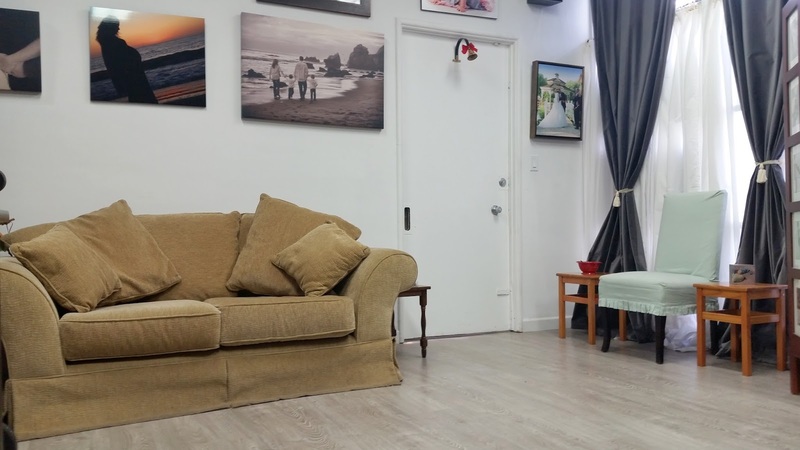 Call today to book: 323.466.3909.